Inzinc Consulting India’s competent OHSAS 18001 Consultants in India can help your esteemed organization get certified to the OHSAS 18001 standard through our proven consulting solutions. In today’s competitive world, we speak so much about quality, productivity, cost, bottom line, etc being a part of the organization’s business strategy. We seldom remember that occupational health and safety plays a key role in the business strategy of the organization. The OHSAS 18001 standard addresses this aspect. 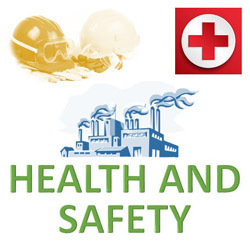 OHSAS is the short form of Occupational Health and Safety Assessment Series. OHSAS 18001 is an internationally acknowledged occupational, health and safety management system standard that specifies requirements of an Occupational Health and Safety Management System (OH & S / OHSMS). These requirements helporganisations in identifying, minimising and controlling health andsafety risks in the workplace, conform to the applicable Health &Safety legislation and protect the well-being of the workforceand visitors / external contractors during operations. The OHSAS 18001 standard provides framework for continually monitoring, reviewing and improving occupational health and safety. The OHSAS 18001 standard is based on the Deming’s PDCA Cycle. The OHSAS Project Group, a consortium of 43 organizations from 28 countries, developed this International Standard. The consortium comprisesof nationalstandards bodies, certification bodies, consultants, andoccupational health and safety institutes. The first edition of OHSAS was published in 1999 and was called OHSAS 18001:1999. This was replaced by the latest standard OHSAS 18001:2007 published in July 2007. What does our OHSAS 18001 consulting services include? Conduct Awareness Training on OHSAS 18001 basics with an interesting OHSAS 18001 presentation ppt. OHSAS 18001 Documentation Requirements: Document an OH&S Manual or OHSAS 18001 Manual, OH&S (OHSAS 18001) procedures, OHSAS 18001 Work Instructions and Forms/Formats. Help conduct the Internal Audit with the OHSAS 18001 audit checklistand assist in reporting the results of the audit. Raises the morale of the employees by ensuring a safer workplace and encourage participation of employees toward health and safety issues. Who must go for OHSAS 18001 Certification? All organizations irrespective of its business activities who have commitment to be manage the safety and health of their employees thereby reducing ill health and minimizing occupational hazards can go for the OHSAS 18001 Certification. The standards ISO 14001 and OHSAS 18001 are developed and structured in such a way as to realize a seamless integrated management system sometimes referred to as the EHS (Environmental Health and Safety System). The commonalities ensure that there is no redundancy in the efforts. The OHSAS 18001 standard will pave the way for the ISO 45001 standard which is being developed by ISO on the lines of the OHSAS standard.This new standard according to ISO will be most likely published by October 2016. Inzinc – Consulting Divison is one of the preferred ISO 45001 / OHSAS 18001 consultants in India, Bangalore (Bengaluru), Mysore (Mysuru), Belgaum (Belagavi), Hubli (Hubballi), Dharwad, Shimoga, Tumkur, Bellary, Mangalore (Mangaluru), Udupi, Chennai, Coimbatore, Hosur, Hyderabad, Visakhapatnam, Vizag, Mumbai, Pune, Nashik, Delhi, Kolkata, Jaipur, Bhopal, Ahmedabad, Rajkot, Noida, Indore, Chandigarh, Nagpur, Jamnagar, Vadodara, Lucknow, Kanpur, Kolhapur, Kochi, Trichy, and other parts of India.